30 minute massage $35. 60 minute massage $65. 90 minute massage $85. 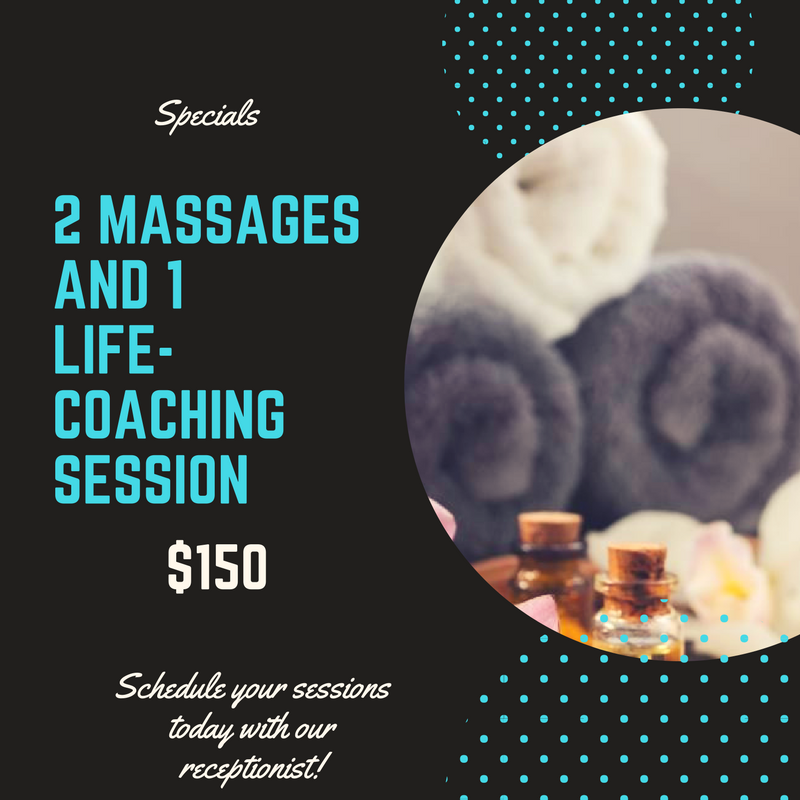 Take advantage of our special deal on massages & a life-coaching session! Get two massages and a life-coaching session for just $150!